Your home can be so much more than just a place to live. It can be an extension of who you are as a person, a way to express your tastes and interests. By utilizing a general contractor, you can truly make the most out of your home. Whether you want kitchen remodeling or bathroom remodeling done, or additions made to your home, the primary goal of improving your home is to make it stronger. This means you should inspect your roofing and other structures that bring you protection. We can work on a every part of your home, starting from your garage doors to the driveways. The home’s interior may also benefit from some work. If you’re planning to add new rooms, you may also need help from a drywall contractor. 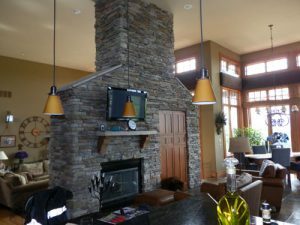 Whatever renovations you have in mind, Lindsey Construction & Remodeling are the experts to call!